Michael Landy RA (born 1963) is one of the Young British Artists (YBAs). He is best known for the performance piece installation Break Down (2001), in which he destroyed all his possessions, and for the Art Bin project (2010) at the South London Gallery. 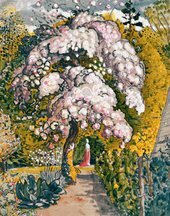 On 29 May 2008, Landy was elected a member of the Royal Academy of Arts in London. Landy discusses his work and comprehensive responses to Tinguely’s constructive and destructive tendencies with Tate Liverpool curator Laurence Sillars. 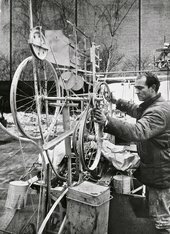 The author co-curates an exhibition of Jean Tinguely’s work for Tate Liverpool.